The Central Violations Bureau (CVB) is responsible for processing federal Violation Notices. Federal Violation Notices (tickets) are issued by law enforcement personnel from agencies such as the National Park Service, U. S. Fish & Wildlife, U. S. Forest Service, Bureau of Land Management, or any other agency governed by the United States. If the Violation Notice does not read "United States District Court Violation Notice" across the top, it is not a federal violation. If you have received a violation notice from either the National Forest Service (A91), Bureau of Land Management (A191) or the Veteran's Administration (A11), and would like more information about your violation that is not available on our website, you can contact the agency directly. The numbers are listed below. Violation Notices are mailed by law enforcement to the Central Violations Bureau (CVB) for processing. The CVB will mail a Notice to Appear approximately four (4) weeks prior to the scheduled court date. If a Notice to Appear is not received within 45 days of receiving a Violation Notice, contact the CVB at (800) 827-2982. 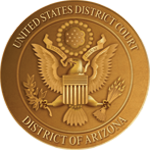 If a party wishes to appear in court to contest a Violation Notice, the individual must appear at the date, time, and court location indicated on the Violation Notice or the Notice to Appear. Individuals issued Violation Notices involving any type of vehicle documentation issue (i.e., proof of insurance, driver’s license, proof of registration) must bring current copies of all documentation to expedite the process. If a party is unable to appear for a scheduled court date, the individual must timely submit a written request to reschedule. The request should include (1) the violation number, (2) the location code noted on the Violation Notice, (3) a current mailing address, (4) a daytime telephone number, and (5) the reason for the request to reschedule. The request should be sent to “Clerk of Court, Attn: CVB Courtroom Deputy” using the courthouse address where the party was summoned to appear, or click the link below to electronically request a continuance (option to send request via e-mail). Only one continuance will be granted. PLEASE NOTE: The submission of any form of correspondence does not exonerate you from the violation(s) and or court date. Unless informed otherwise by the Clerk’s Office, you must appear. For general information regarding Violation Notices, please contact the CVB at (800) 827-2982 during normal business hours or visit their website at www.cvb.uscourts.gov.